VR headsets which will take the market in 2017 are in straight competition. We review some of the best selling cheap options online. Virtual Reality isn't cheap. Today's high-end gadgets which are promising on top quality video output are somewhere in the range of $250-900. With these, there is always confusion about which one to choose from. 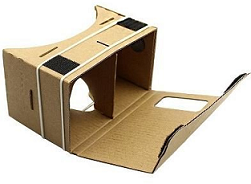 If you are avid virtual reality lover, there are plenty of cheap alternatives on Amazon you must certainly look at. Even though these options will not give you the same performance as in those top-tier brands, you can surely get the best experience out of these by looking at most in-budget alternatives. featuring the largest lenses available - up to 42mm lenses - appx. up to 100 degrees FOV - stream anything from movies and videos, games and most of the apps. Zebronics comes with pretty well design at much attractive price range, especially for Indian customers. 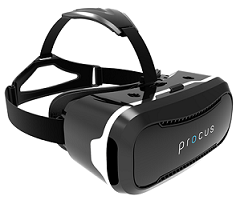 It is a versatile virtual reality headset with great features inbuilt. Some of them include its bigger design, devices compatible up to 4.5 Inch x 6 Inch, Max. height 160mm, max. width 83mm, 100% New ABS material, PMMA Lens, Nylon head strap, Neodymium rare earth magnet disc, Ceramic pupil adjustment up to 20mm, Up to 10mm focal length adjustment, Ultra-immersive motion sensing game experience, Extra soft fittings for longer hours usage, Reserve perspective window for AR or camera shooting purpose, compatible with 3D movies, 360º panoramic views live, games and much more. This headset comes with the bigger 42mm polarized resin lenses. They are calibrated and anti-fogging technology, which provides more immersive experience with larger FoV and reduced window effect. 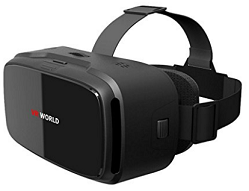 It's perfectly calibrated lenses provide tons of google VR apps, come with QR code scan and easily turn your smartphone into a VR zone giving you an unmatched Vr experience. It has curved ergonomic design with stylish front bezel and foam protector also there is an ideal heat dissipating design for ventilation. Its removable front tray makes it possible to load device into it easily. Its superb individual lens adjustment makes it possible to a suite for different eye sights. You can get " Irusu VR Zone " app to get full VR content right away available at single click. The smartphones should have Gyroscope and Accelerometer for head tracking. 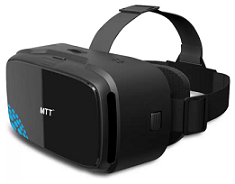 MTT is really advanced set of VR in terms of its specs and amazing human suitable design. It has high-quality adjustable positioning lens system specially made to enjoy HD content and games for longer hours. Its lenses are vacuum-ion plated and capable of blocking electromagnetic radiations. Its 0.40mm Dia HD optical resin lenses with Anti-blue ray coating reduce deformity, remove glare and prevent eye strains. It has patented design to suit best human ergonomics and uses PU materials for summer sweat on long usage. It's easy to adjust on your eyes and much suitable for different eye sights users. It provides object distance adjustment from 65mm to 75mm distance. Its glasses are suitable for Myopia below 700 degrees. Its unique design can fit with most of the today's smartphones with secure locking. Built with advanced technology it is the only in VR category that is optimized for tons of quality apps. Its lenses are made using vacuum ion plating which is capable of blocking electromagnetic radiations which are harmful to human eyes. 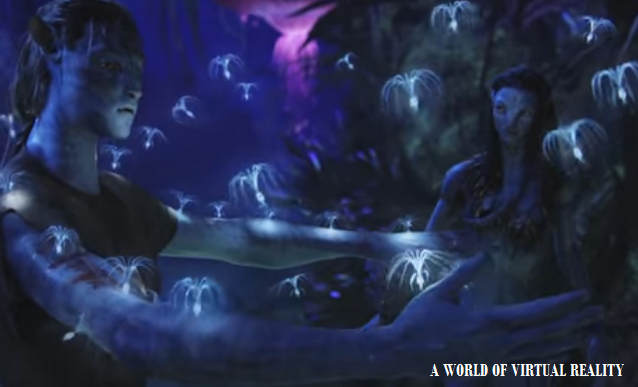 It uses HD optical resin lenses with 8 layer nano-coating, 5 times polishing which helps in reducing deformity, glare, visual fatigue and enabling lossless virtual reality world experience. Most importantly it comes with a Bluetooth remote with in-built magnetic clicker which is required to access while you are watching vr (selection/triggering actions). It has easy pupil distance adjustment system which makes it perfectly suitable for 97% of the crowd and even for those with Low Myopia. Most of the people won't even need to use their glasses while watching Vr. These are professional, high-quality plastic made VR headsets with big 42mm dia spherical resin lenses. This enables almost no deflection in video output creating much smooth and fatigue free visual experience. It is also perfect for people with Myopia under 600 deg. Its adjustable settings for pupil settings are much suitable for a variety of people with different eye sights. Comes with a leading edge optical design and most popular lens precision, Zeiss VR One plus is one of the best choices in the VR market. Its much suitable universal tray supports most of the today's smartphones. Its not-required lens adjustments for pupil have enough in-built auto settings for people to use their glasses while watching VR content. Specs have all of these including FoV of approx. 100 degree., Supported a wide range of interpupillary distance (IPD) around 53 ~ 77 mm, Smartphones with a display size between 4.7 and 5.5 inches except for LG G4 and SONY XPERIA Z5 Premium. Transparent front shield Enabling smartphone cameras for augmented reality apps. The foam is detachable and replaceable for cleaning. This 3D VR headset from ANSIO will bring you to an Immersive 360 Degree Experience. It has a glossy finished front Panel, Compact and Lightweight design, Unique strong suction grip phone holder. It provides improved padding for extra comfort and durability. These are easily compatible with Android and iOS devices with 4.7-6.0 Inch display. 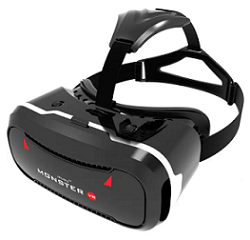 DMG is a simple yet powerful kit which can transform your smartphone into a fully functioning VR headset. Kit includes 2 bi-convex lenses which are adjustable up to 45mm for stunning image quality. This kit is precisely machine cut to occupy most of the latest smartphones with minimum hassle. 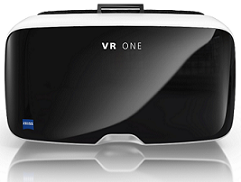 Just assemble the parts, glasses and start your fantastic virtual reality journey. 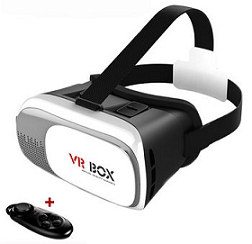 Made from ABS plastic and 42mm spherical resin, VR box gives the wonderful experience of watching VR content and 3d games. It offers you a 1000 inches big screen simulating view at a distance of 3m which is easier to put your smartphone into the 3D glasses. It's excellent flexibility and adjustable bands help you adjust lenses, pupil distance, and sight distance. 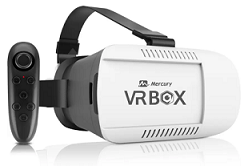 Real Deal VR Box, 3D VR (With Combo Offer), Google Sourcing 3D VR Glasses, 3D VR BOX V 2.0, Shoppingkisite 3D VR, Google Daydream Basic, VR Virtual Reality 3D. Which is your choice? How is your experience and which you refer to your friends? Let us know in comments.